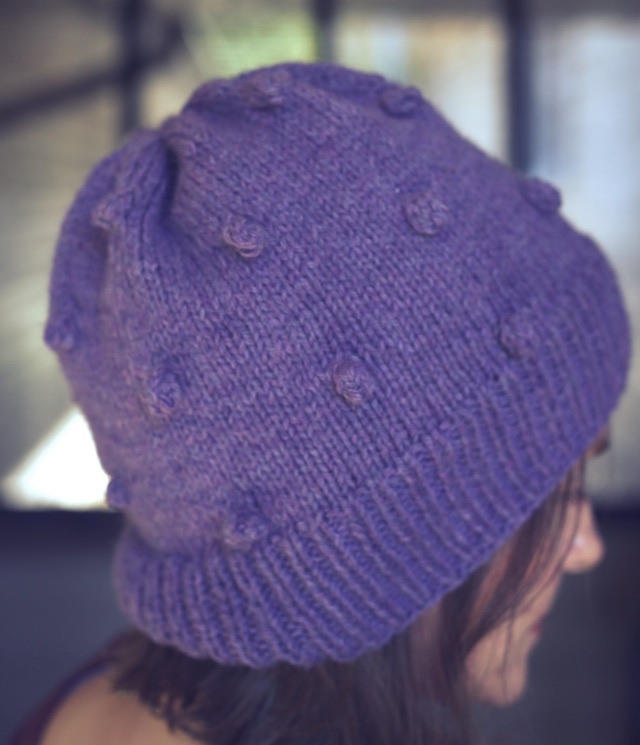 I recently experienced a bout of hat knitting. 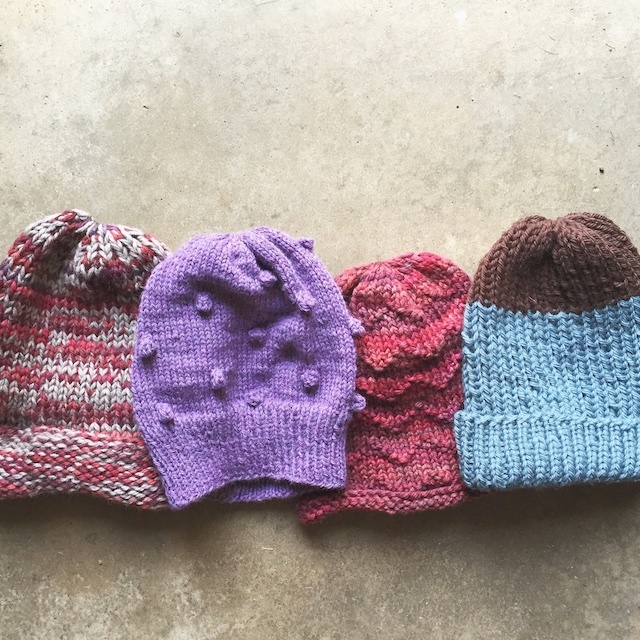 These were all of the hat patterns I hadn't previously knitted from Good Night Day. 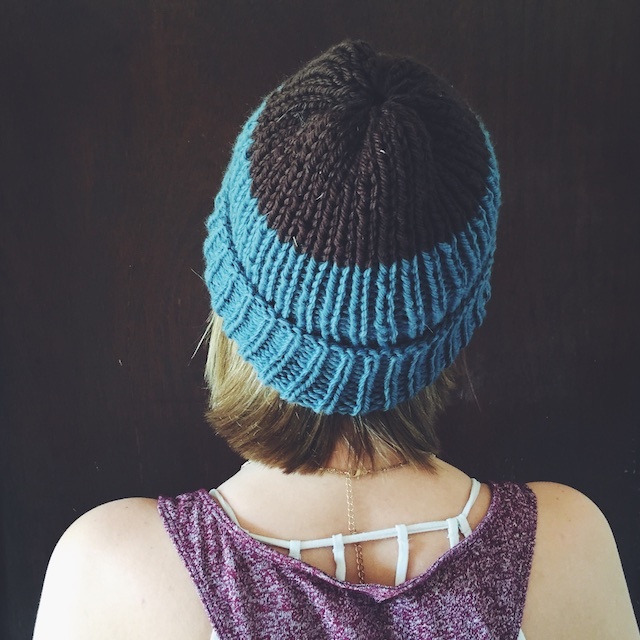 You might remember that her Petawawa Cable Toque is probably my most favorite hat to have knit. There was just something about the design paired with the Gynx yarn that worked so well together. Knitting up so many hats was a nice break from sweaters and the perfect use for bulky leftovers. Using old stash is the goal of the Purposeful Stash-along, after all, and I'd only completed one project for it til now. 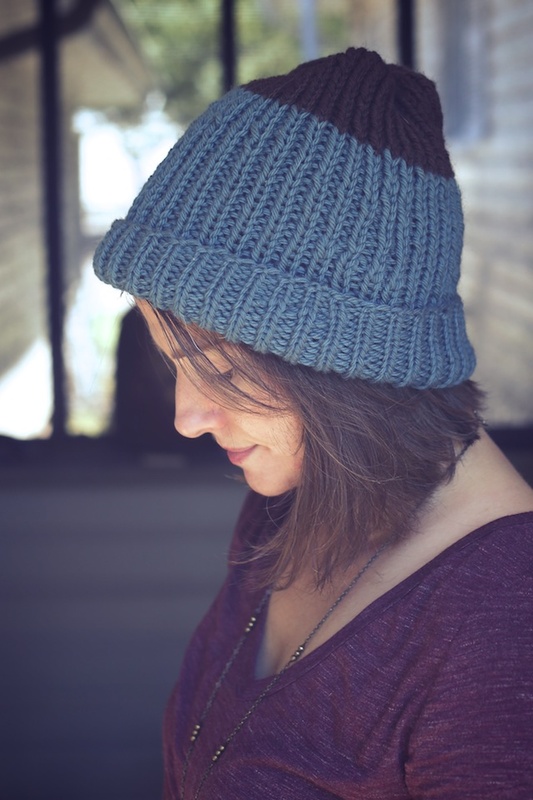 The Mono Toque, is a very stripped down design. Just stockinette and reverse stockinette. It's that simple. I was really craving that kind of knit. I used US size 10 needles and held a strand of Sweet Georgia Bulky in, Terra Firma, with a strand of Cascade Eco. I really liked the marled effect on a plain stockinette. As usual, I found knitting with super bulky yarn extremely satisfying. 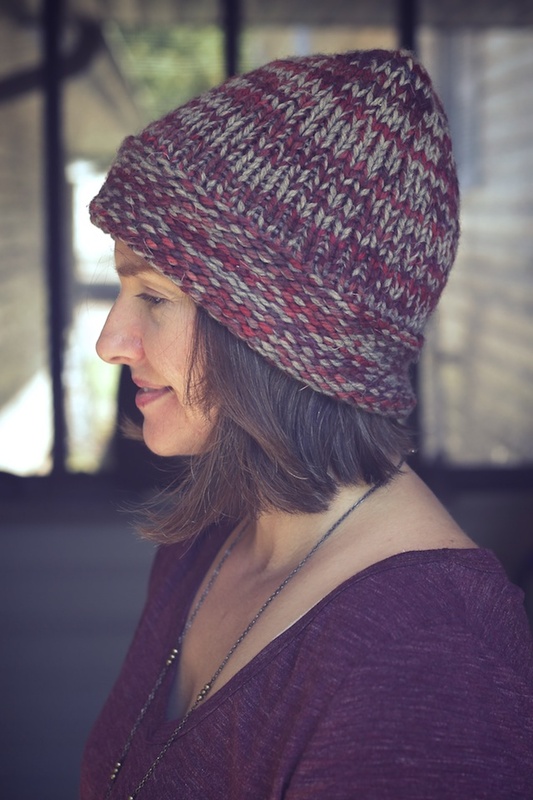 Also using US size 10s and Terra Firma, I knit up the Mattawa Toque. This Sweet Georgia was left over from my Lund or Linden sweater. Again- bulky, semi-solid, chevron patterned- does it get any better? 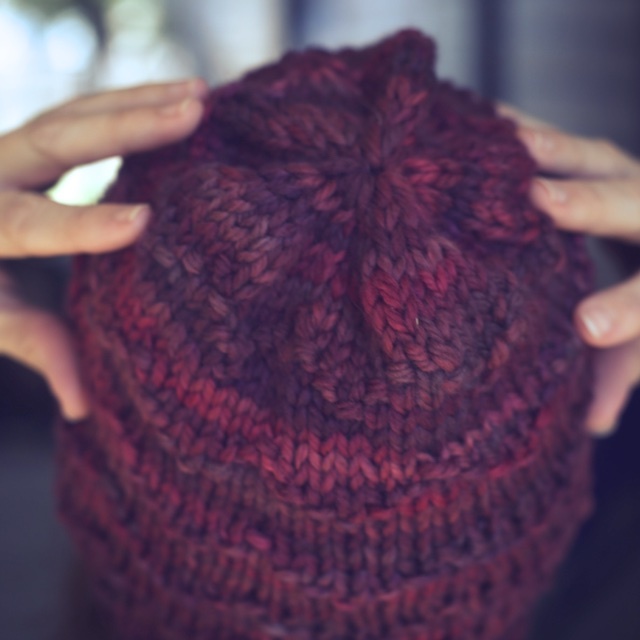 The York Bobble Toque was one I'd thought I might enjoy knitting, but probably wouldn't wear much. I'm so glad I knit it because I think it's my favorite of the bunch. It's also in our football team's color. Apparently, these things matter in Texas. 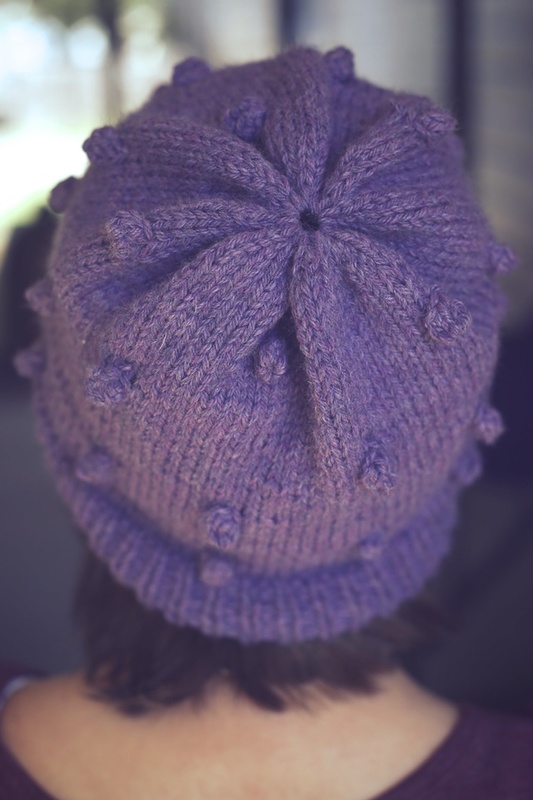 I used size 3 needles and Lilac colored Berroco Vintage left over from a henley I'd knit. I may even have enough for another one to knit for my daughter, if she ever comes to a football game again. Then there's the Jarvis Fisherman Toque. This was an incredibly quit knit! It would be perfect for a Christmas gift. For this one I used size 8s and Wool of the Andes Bulky leftovers from Agnes and my Princess Leia Hat. I think I changed to the contrast color on the 38th round, or something. Yes, I know there is dog hair on my knits in every single photo. Did you know the alternative title for this blog is My So-Called Classy Life? 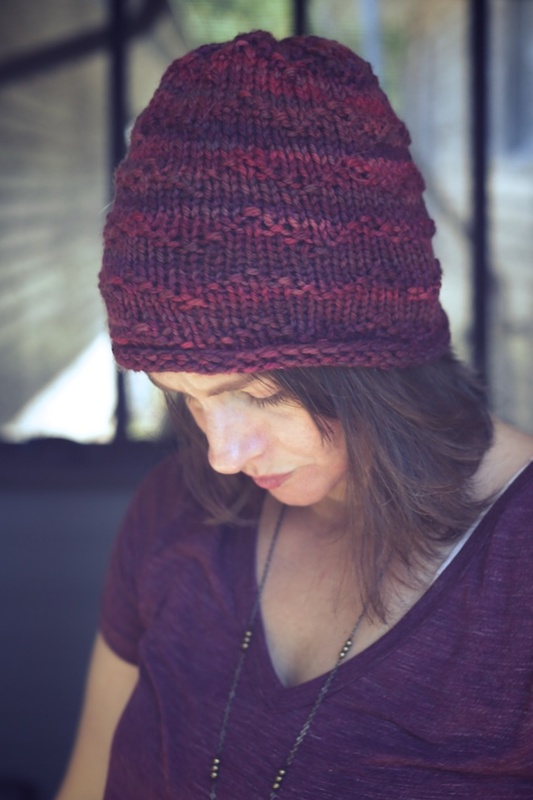 What's next for me, in the way of Tara-Lynn's patterns? 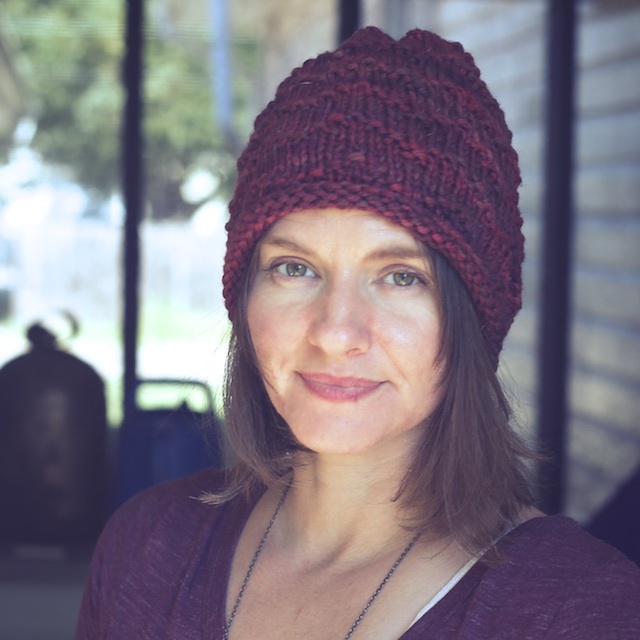 So far I've knit these hats, a cowl, a shawl, a cardigan, and some winter headbands. Next up will probably be either a Kingston or Welland sweater, with a slight modification for a lighter weight thick and thin yarn. In a few weeks I may be able to say I've knit them all. Have you ever knit every pattern in a book? I don't know, the idea of doing that gives me a real sense of accomplishment. So far I've come close with a couple of Holla Knits issues, and I know I will finish everything in Island and Journey. It's knitter OCD, I guess.